Neuf - Magnifiquement meublé 2 chambres suite privée, dans un excellent emplacement! Magnifiquement meublé 2 chambres suite privée, dans maison neuve. L'emplacement est incroyable, à proximité de nombreuses attractions, y compris: Mosquito Creek / Grouse Mountain / Baden Powell Trail, Capilano Suspension Bridge, Edgemont Village et à 10-15 minutes du centre-ville. * La suite locative est une suite privée au sous-sol de notre maison, avec entrée séparée et 100% d'intimité. Nous avons de jeunes enfants, vous pouvez donc entendre un petit bruit de pieds. Nous sommes favorables à la famille et invitons d’autres familles avec de jeunes enfants à rester, sans l’inquiétude du bruit que vos enfants pourraient aussi faire. Extremely neat and clean. Very spacious and up to date. Nicely decorated. Located close to several attractions and even a Walmart. Would definitely recommend this suite. We had a great time, the apartment was fantastic, owners were responsive and extremely kind. Highly recommended 5 Stars. Simply perfect, nice, clean and adorable, my family and i spent a very good time during our stay. Great location, all the necessities! 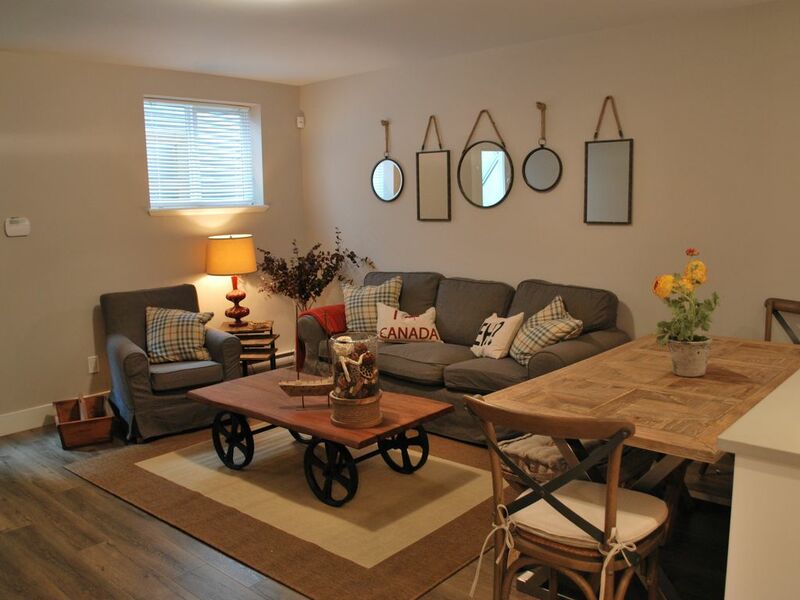 We had a great stay in Vancouver at this basement apartment! It had everything we needed to help support our stay. This was our first time in Vancouver and we used this spot as our hub between our on-the-go activities during the day. We loved the beautiful neighborhood and even walked two blocks to the restaurant down the street. It was a great experience since it made us feel we were Canadian for a few days. Eh? I would give it 5 stars, but the wi-fi and cable tv were frequently not working. That was a little frustrating since we needed wi-fi a lot of the time, but we made it work. Andrew and Ainsley are great hosts and I would definitely stay here again! We stayed a few days in this property localised in North Vancouver nearby the seabus station. The bus to station is staying across the street. The apartment is clean,good for family of 3-4 persons. The owners are helpful for the guests. We recommend this property for the next tourists.